This article is sponsored by EveryoneDoesIt.com – The World’s Online Smoke Shop. While they may be more popular today than ever before, smoking and smoking technologies are anything but recent developments. 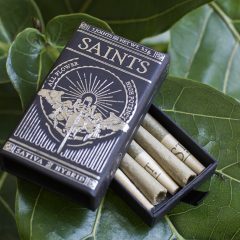 In fact, smoking various substances can be linked to numerous ancient civilizations including the Mayans, the Aztecs and many indigenous American cultures. As smoking spread over the centuries, smoking accessories were created and popularized around the world. In Africa, artisans began making smoking pipes and bowls soon after Christopher Columbus brought the practice of smoking tobacco back from the New World. The Middle East considered smoking a social activity and invented the hookah. In South Asia, short pipes called chillums became popular. The 1800s saw the invention of rolling machines. It wasn’t until the 1960s, when South Asian chillums and pipes gained popularity in the United States, that smoking accessories started to become a widely sought-after commodity. Soon after, the rise of hookah bars across the country popularized those devices, while the 1990s saw the first vaporizers. Today, vaporizers continue to gain in popularity and are quickly changing the way people consume tobacco, cannabis, and similar products. At the same time, the popularity of consuming concentrates has skyrocketed, with dab rigs and accessories gaining market share at breakneck speed. And right alongside the evolution of smoking technologies, the headshops that sell them have grown and evolved to join the digital age, providing consumers with historically unprecedented selection, pricing, and availability while contributing to the evolution of the very accessories they supply. Operation Pipe Dreams was a 2003 initiative spearheaded by the D.E.A., whose objective was to shut down retailers of so-called “illegal drug paraphernalia.” “Nobody in America could operate,” recalls James, “but ironically, the U.K. businesses blew up.” As the D.E.A. targeted American stores and websites, EveryoneDoesIt’s American business exploded to represent 50 percent of the website’s revenue. As the industry has evolved, the clean interface and streamlined user experience of online headshops in 2016 has also changed greatly from the earliest sites. Back in those days, it wasn’t uncommon for a retailer to snap pictures of products on their kitchen table to post online. Today, visitors to sites like EveryoneDoesIt can create member accounts, track their wish lists, get alerts when sold-out items are back in stock, and follow along as orders are packed and shipped to their destination. EveryoneDoesIt currently receives over 50 million monthly hits – and not just from young, stereotypical customers. “When I look at demographic info we have a very wide range of people come to the site,” says James. 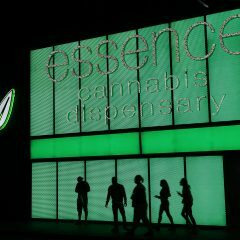 “I think the marijuana industry is a very broad church…our customers are 18 to 80.” By offering discreet shipping, online headshops are able to cater to shoppers who might feel uncomfortable walking into a physical brick-and-mortar headshop. 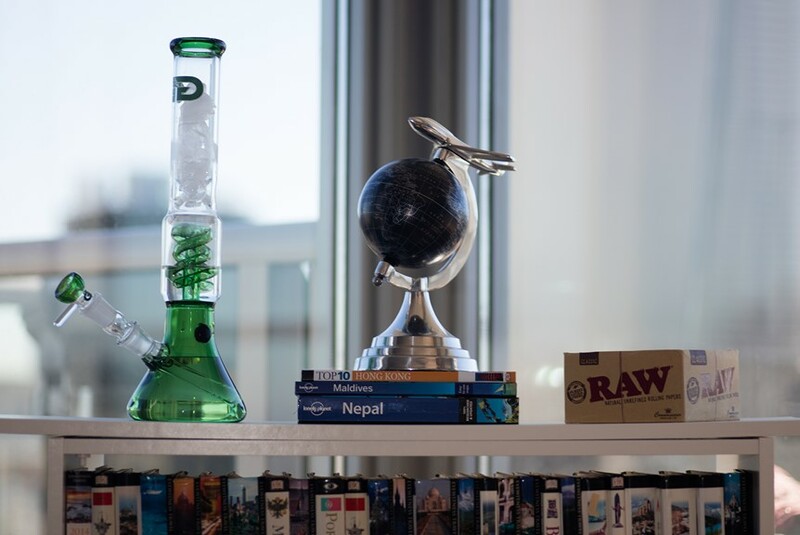 In turn, access to a wider market means that an online headshop can carry a much broader range of paraphernalia than a physical headshop could. Furthermore, eliminating the overhead of maintaining a physical store means that online buyers enjoy optimal pricing. EveryoneDoesIt has also been able to employ a 24-hour customer service team that not only replies to messages day and night within about three minutes, but also helps gather customer feedback to curate and optimize product selection. While many advances in smoking technology have been allowed or furthered by legalization itself, the widespread availability of smoking accessories via online headshops has also had implications for the spread and evolution of smoking accessories. 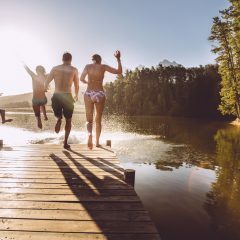 For example, take dabbing, which was popularized in the United States thanks to the first states’ legalization, but initially was largely lost on Europe: by offering dabbing accessories to an international community, EveryoneDoesIt.com has helped dabbing culture spread beyond the United States. “The dabbing phenomenon…really took me by surprise,” says James. “It’s mainstream, it’s amazing, there’s all these dabbing tools and everyone knows what they’re for.” By comparison, “In the European market it’s like, ‘What’s all this?’” European consumers as a group have only just begun to understand and purchase dabbing accessories. Online headshops still toe legal gray lines, but James argues that, “After moving from the black market to a gray market, the future [of smoking accessories] is moving toward complete legitimacy.” As such, online retailers including EveryoneDoesIt will look to begin leveraging sources of traditional online retail such as Amazon, eBay, and Instagram to market everything from grinders to vape pens. “We’ve realized that to be the best in the industry you’ve got to cover a lot of different bases. The e-commerce market demands a certain amount of respect,” says James. “These days our competition are all very driven individuals…[but] our strengths will always be the fact that we straddle international marketplaces, competitors don’t have the depth of product we have, and they don’t have the established relationships with suppliers of glass products that are always in demand in the States.” From the largest selection of Roor glass on the market to the best customer service in the industry, James believes that EveryoneDoesIt will continue to evolve and lead the industry forward in the years to come.